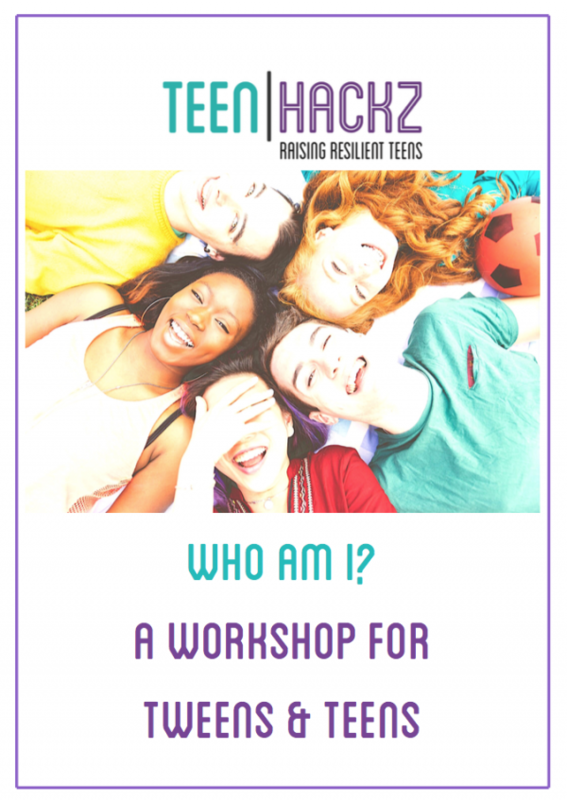 Centered on our unique “Who Am I?” teen behavior assessment this workshop provides teens with an opportunity to identify their personal style – how they see themselves and how others see them. 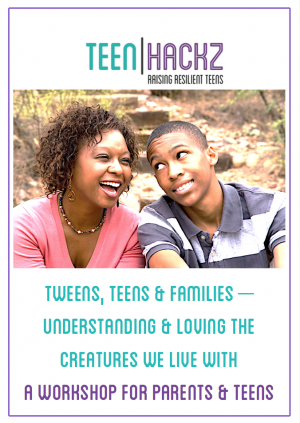 Using ‘animals’ to describe the four different behavior styles we look at “who’s who in the zoo” and how teens can learn to navigate life with improved self-awareness and understanding. Individual behavior style – what makes them tick and how to embrace success behaviors. Personal motivation interests and talents – how to make better study, career and life choices. That fabulous ‘a-ha’ moment when they uncover their true selves. A good laugh – at themselves and each other. Ages: 12 – 17 – middle and high school. Materials adapted to suit. 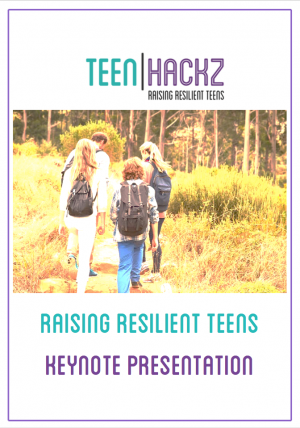 Hannah-Joy Wirshing – Girls Inc.
Our family (my husband, our son, and I) participated in the TeenHackz Resilient Teens parent / teen workshop earlier this spring with Ms. McDonough and Ms. Allanson and found it to be a really illuminating and productive way to spend an afternoon. The workshop helped us to clarify and organize our own perceptions of the ways we each navigate the world and our natural reactive tendencies to everyday situations. And the instructors are fantastic presenters — they work so well together to explain concepts and to create a really open and friendly interactive class environment. 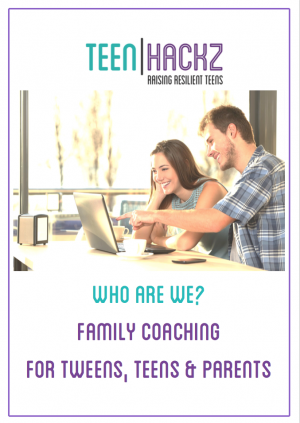 I have kept all of the workshop materials in an easily accessible place in our home so that I can occasionally refer back to them with my son and remind ourselves of different approaches to managing his school work and addressing different social situations. This is going to be very helpful as he enters 9th grade next year and will be confronted with numerous choices about course electives, teachers, and class types. And it is our hope that he will also be able to use what he has learned to better manage his workload, or we may be back for Part 2! Thank you TeenHackz!